Let loose the little brat hiding within you with the Gear Y-Fork Slingshot ($100). You know, the one who is crouching behind your conscience, but who really wants to do some damage. 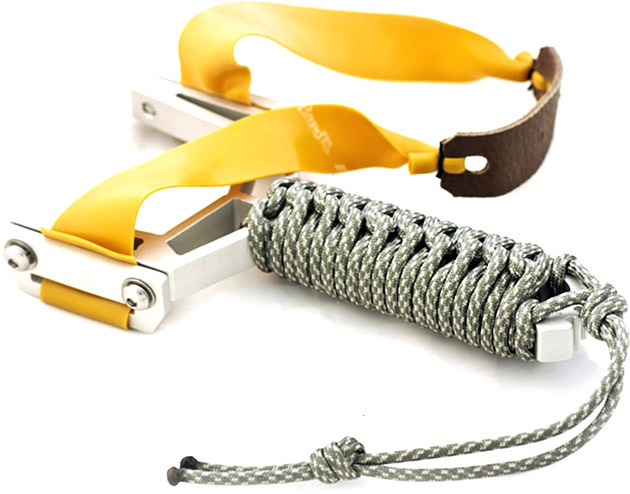 The Gear Y-Fork Slingshot is an aluminum frame with a band that has a 28-inch draw and a leather pouch. Go hunting, shoot some cans, or do whatever that punk inside you feels like doing.